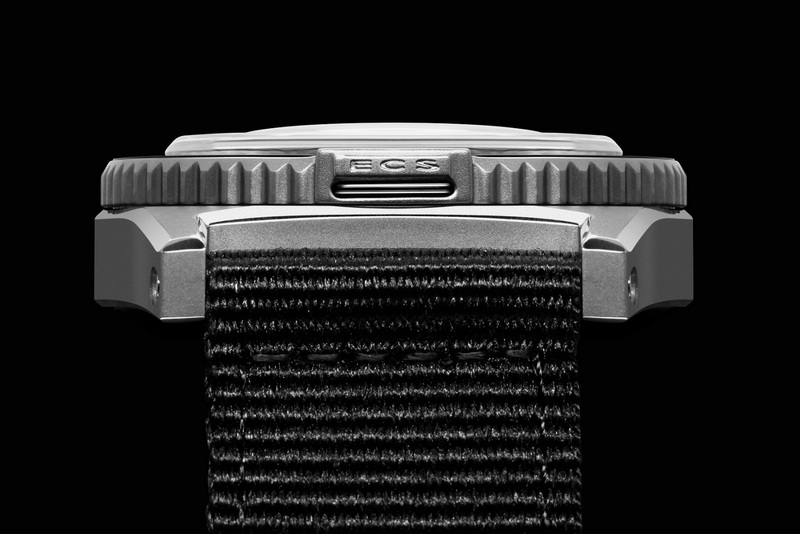 The GF300 is about to get cold, very cold. This Polar Bear friendly version of the legendary GF300 Re-Edition from 2015 has been taken back to the drawing board in preparation for an epic North Adventure. 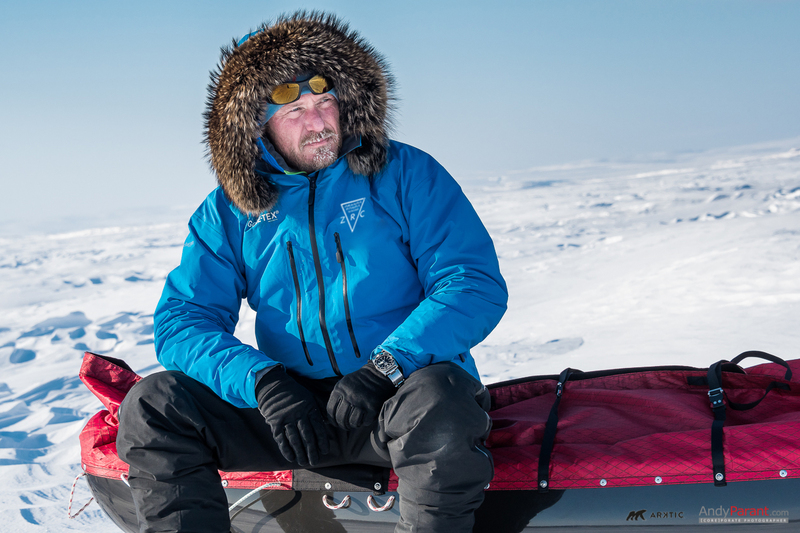 Introducing the new ZRC North Adventure watch, a special project tailor made for an Arctic explorer, Alban Michon, who will take his new companion with him on an extreme enviro-scientific journey into a frigid world where temperatures as low as -40°C will be biting at his wrist. 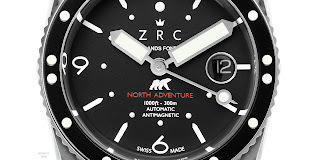 The ZRC North Adventure is an extreme Tool Watch version if you will of the Iconic GF300. 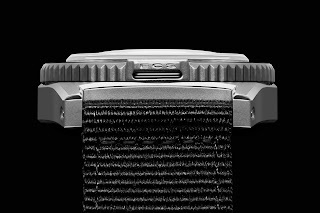 Thanks to its sandblasted anti-magnetic Stainless steel case it has an even more utilitarian look than any of its predecessors ever did. 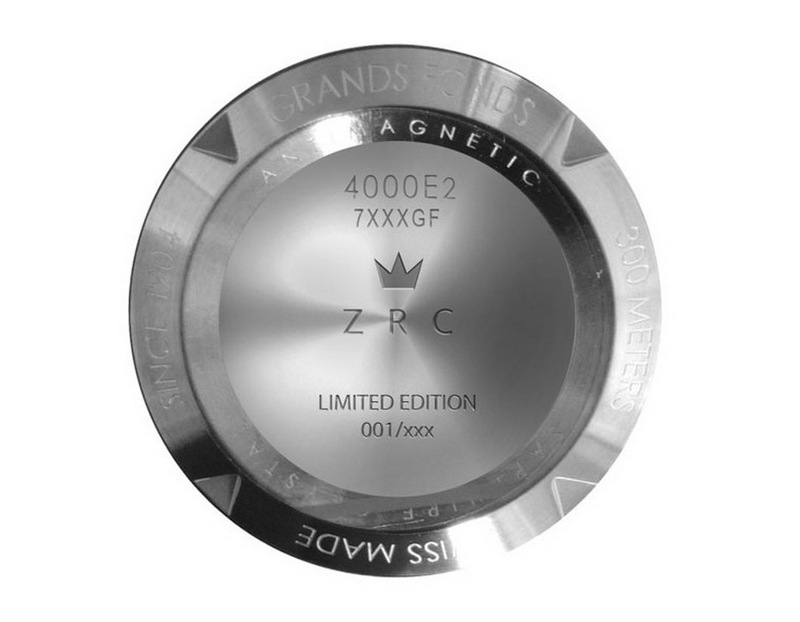 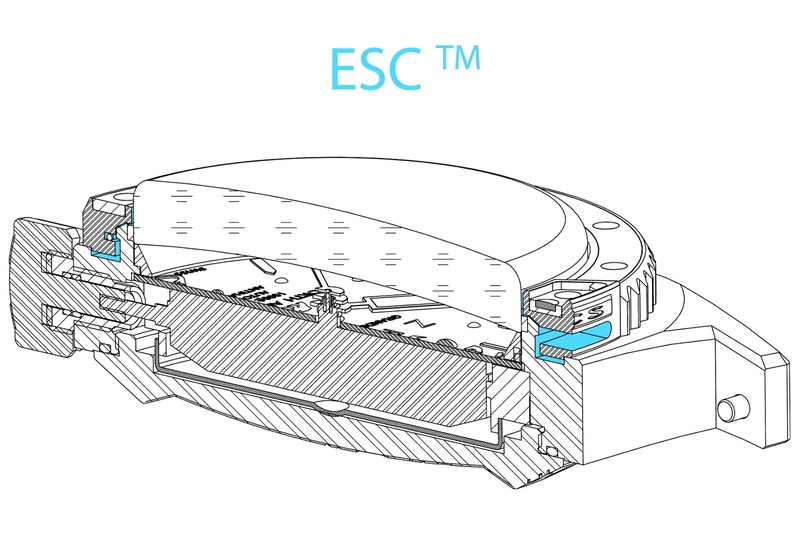 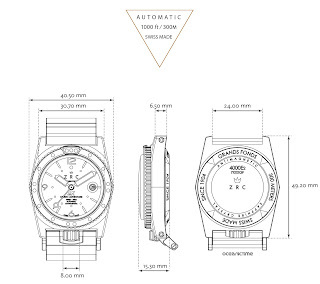 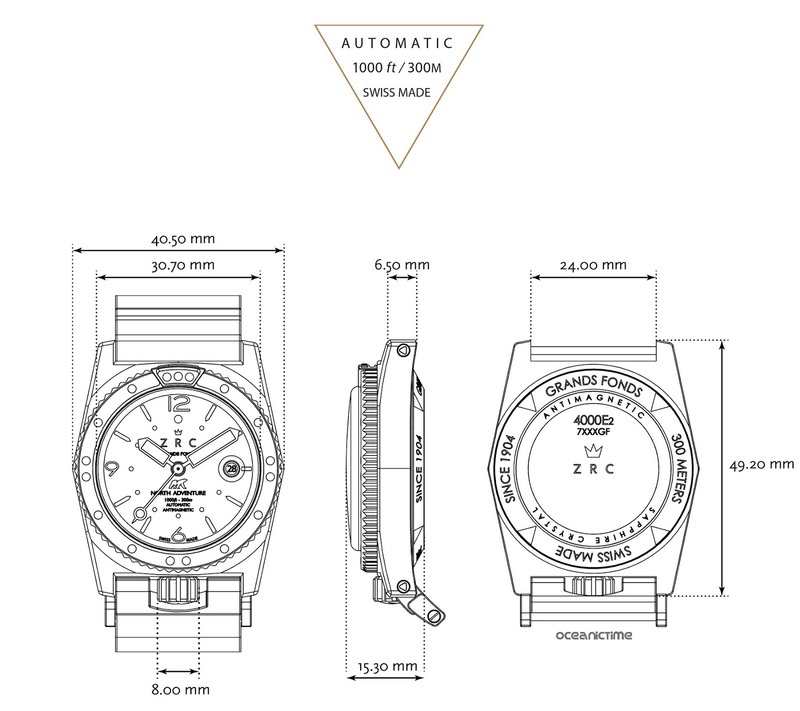 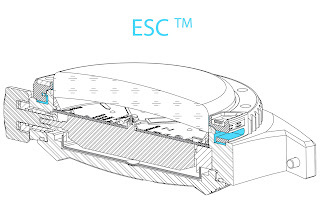 It is endowed with characteristics such as a non-magnetic 316L Stainless steel case, an oversized crown for easier ice-cold temperatures manipulation and a 4mm thick, anti-reflective treated Sapphire crystal with a further anti-fogging and condensation treatment. The reason why the original crown had to be modified with a bigger diameter is an obvious one – it needed to be easier to manipulate so that if Alban needs to rewind or adjust the date or time, he will be able to perform such a task even while wearing his gloves. 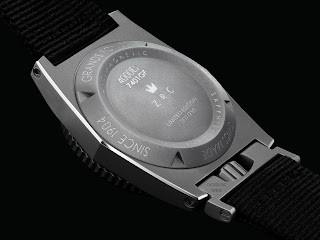 as well as ZRC’s Crown Protection System that prevents water immersion, thanks to its exclusive bracelet system using retractable lugs, so that it is impossible to go underwater without screwing the crown back to its original position. 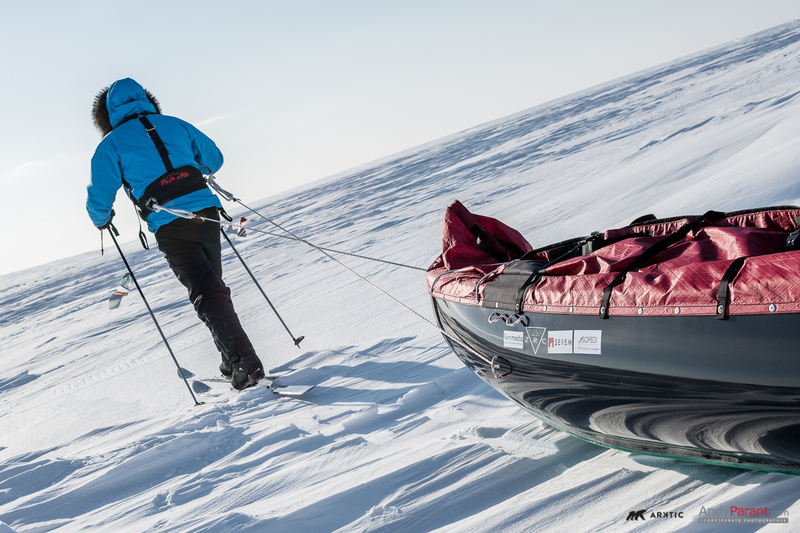 The North Adventure’s face has been specially fitted with a massively over-sized handset in white, a date window at 3 o’clock framed in white, a line of red North Adventure text and Alban’s Polar Bear logo proudly displayed above it. The dial and the bezel indexes were treated with pure white SLN™ - X1 in order to achieve the best possible visibility during his dive beneath the ice-pack. 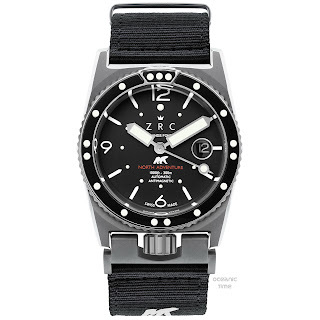 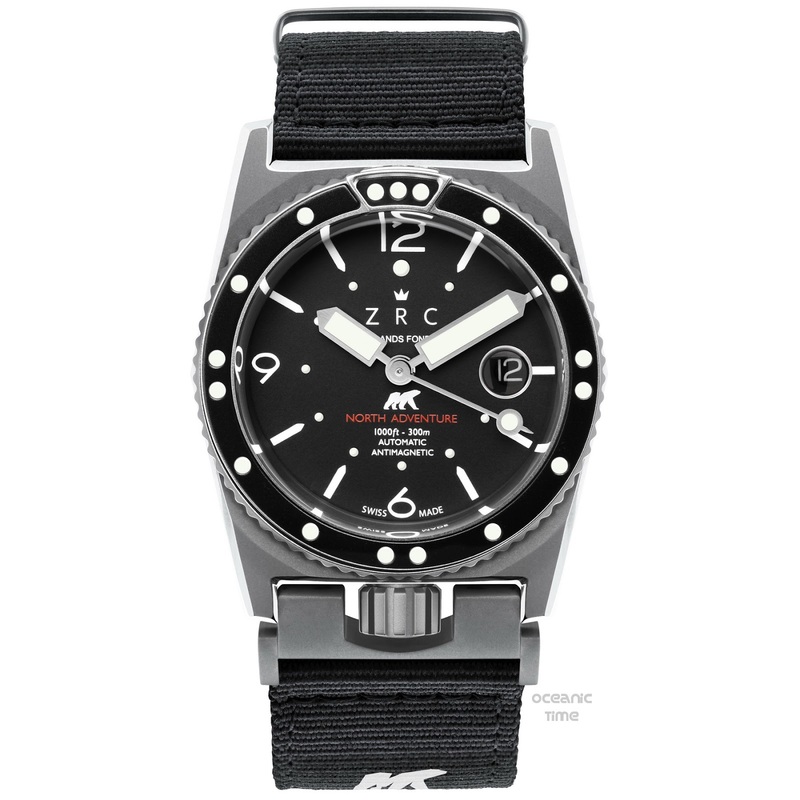 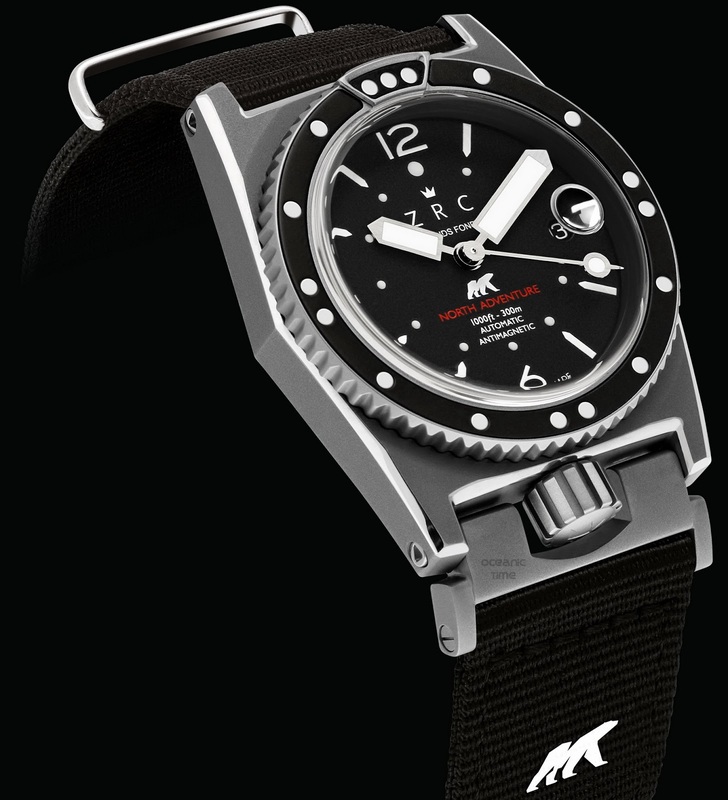 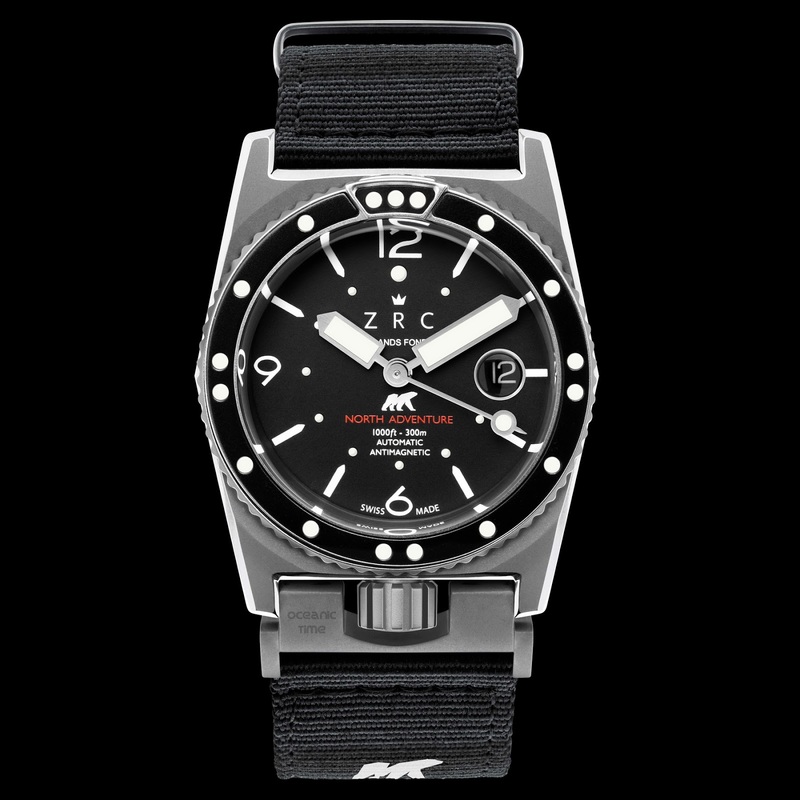 The ZRC North Adventure watch is equipped with an ETA 2824-2 elaborate-grade movement precise to +/- 7sec/day. 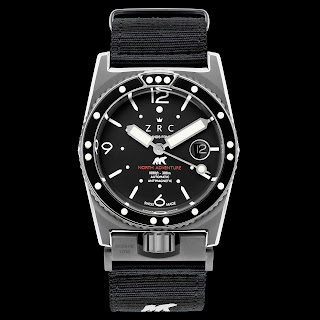 To ensure it functions properly under ice cold temperatures ZRC were forced to modify it by using specialist joints & oil. 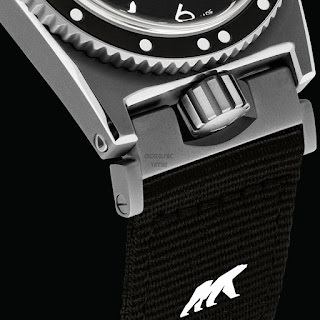 In order for the North Adventure watch to fit Alban’s wrist, it has been equipped with an XL black NATO strap. 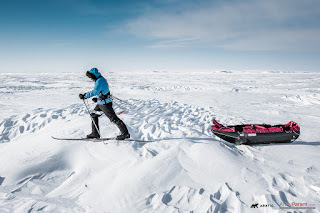 It will therefore be possible to wear it over his specialist Artic gear thanks to a single buckle closure-system that facilitates its manipulation. At the 6H side of the NATO strap is a white Polar Bear logo symbolizing Alban Michon’s initials, there as a constant reminder of his new neighbors but also to help him keep motivated and focused when things get tough. The ZRC North Adventure watch is not only important, it will become a vital part of Alabn’s equipment and nothing could suit it better than plunging into the biggest science laboratory ever: the North Pole! 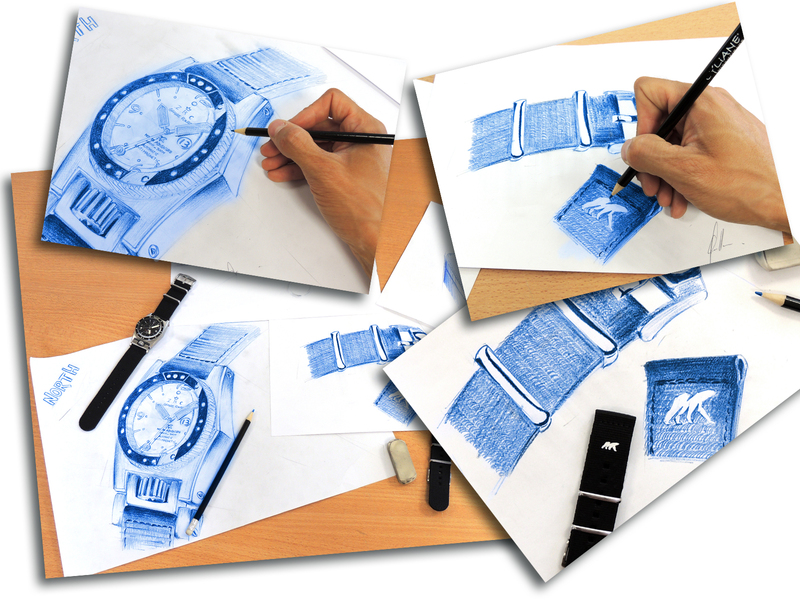 So, how to get your hands on one of these incredible watches? 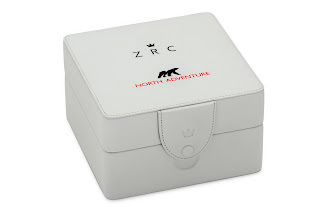 For the first time ZRC have taken a project to the crowdfunding sphere where you can back the project via a Kickstarter campaign and not only secure your North Adventure watch but can show support to a committed enviro-scientific adventure. adventure can be found at the following dedicated ZRC North Adventure site.